The Vancouver debut of the Tony Award-winning musical Disney’s The Lion King is less than a month away and the local buzz continues to grow. The Lion King is a theatrical juggernaut that has shown no sign of slowing down since it hit Broadway 13 years ago. 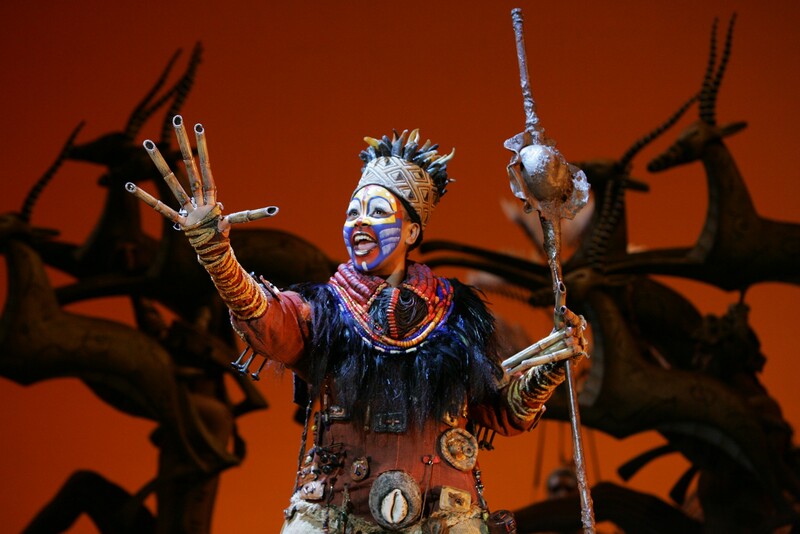 Phindile Mkhize as Rafiki in the opening number “The Circle of Life” from the national tour of Disney's The Lion King. Photo by Joan Marcus. The Lion King is the eighth longest-running musical in Broadway history and this touring company is one of the seven productions currently playing worldwide, including New York, London, Hamburg, Paris, Tokyo and Las Vegas. Starring J. Anthony Crane, Brenda Mhlongo, Nick Cordileone, Adam Jacobs, Syndee Winters, Monica L. Patton, Kolton Stewart, Monique Lee, Dionne Randolph, Tony Freeman, Omari Tau, Ben Roseberry, Jerome Stephens Jr., and Madai Monica Williams. Disney Theatrical Productions and Broadway Across Canada present Disney’s The Lion King from July 13 – August 8, 2010, at the Queen Elizabeth Theatre, 600 block Hamilton St, Vancouver. Tickets are still available online or by calling 604-280-4444.